The U.S. Navy has recently applied for a permit authorizing the incidental taking of up to 94 species of Marine Mammals over the next five year period beginning in August 2012 thru August 2017,being incidental to its testing of low frequency sonar under it’s Surtass program.70 Cetaceans and 24 Pinnipeds during what it calls military readiness activities.The Navy has stated that it will not exceed 180 decibels of sonar ping,in prior years and over the last 50 years the acceptable level of decibels was classified at 120 to comply with safety issues regarding Marine Mammals.The Navy’s application for permit with the NMFS states that it will not use this sonar testing within 12 miles of any coastline,and that such tests will not be performed within the Arctic Ocean or Antarctica,or any biologically recognized breeding areas of Marine Mammals. The Navy will operate these exercises in the Atlantic,Pacific,and Indian Oceans and the Mediterranean Sea.Outlying within the permit application,the Navy states that the probability of taking Marine Mammals through levl “A” harassment is at 0.001 percent,yet because it is not scientifically predicted to attain a rating of 0 percent,that is the basis for requesting level “A”. Whales and other Marine Mammals rely exclusively on hearing for their basic life functions.Such as orientation and communication,feeding,finding pod members and calfs,how they mate with each other,and how they navigate the seas. When sounds emit making more noise than a jet aircraft fills their ears,the results can be tragic and deadly.Whether the sounds emit from air guns used for oil exploration or from ships and submarines emitting sonar,Man made sounds can drown out noises Marine Mammals rely upon for their very survival,causing injury and death.At 140 decibel sound ping as far away as 300 miles from it’s source,The intensity impact on Marine Mammals has been shown to be 100 times the recorded statistics to alter the behavior of Marine Mammals.The current Navy application for permit requests NMFS to approve up to 180 decibels ping. ” There is no question and has been scientifically proven,that sonar injuries kill whales and dolphins” stated Senior Attorney Joel Reynolds of the National Resource Defense Council. Many of the Whales affected by the testing have suffered Bleeding of the brain,ears,and other tissues and have caused large bubbles within their organs.Scientists also believe that mid frequency sonar blasts drive certain whales to change diving patterns that are harmful to their bodies,further causing severe injury or death.Naval sonar has also proven to be detrimental to feeding and other behaviors causing whales and dolphins to panic and flee their habitat. The U.S. Navy has admitted that it estimates increased sonar training will significantly harm Marine Mammals more than 10 million times during a five year period. 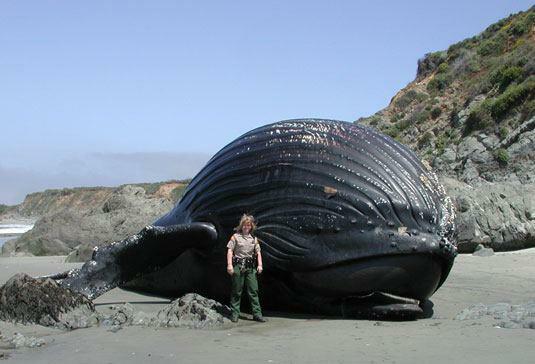 In 2006,after a Surtass exercise,more than 200 whales stranded on Hawaii beaches,and in 2000,when the Navy conducted testing in the Bahamas,13 whales from 4 separate species were stranded on beaches,The Navy denied responsibility initially,But a federal investigation revealed that Navy mid frequency sonar was indeed the cause of this stranding.Directly following testing in this area,the populace of the Cuvier’s beaked whale nearly disappeared from their habitat,which led scientists to believe they had either fled or died at sea as a result.Similar mass strandings have also occurred in the Canary Islands,Greece,Madeira,U.S. Virgin Islands and Hawaii as a result of low frequency sonar testing by the U.S.Navy.And also as a direct result,many calfs have been separated from their Mothers. In 1998 The SRS conducted research off Hawaii under a permit issued by NMFS, Numerous reports from whale watch captains and observers stated that Humpback whales fled the area during testing,And it was also reported that a Humpback whale calf,and dolphin calf appeared and were separated from their mothers.A seperated Melon Whale calf also appeared abandoned during this testing.When this program originated,the Navy conducted secret testing of LFAS known to be harmful to cetaceans,without filing for permits and violating environmental protection laws.When the program caught the attention of the general public and the national resource defense council,the Navy only then conducted minimum research studies and only concentrated on a few of the effects that sonar had on a limited number of oceanic species. When adverse effects became public knowledge,which led to litigation and a congressional call to suspend the program,the Navy suspended funding further research.The NMFS and the Navy cooperated with Dr.Peter Tyack of the Woods -Hole Oceanographic institute,to disguise the nature of the program, and permitted research to be conducted outside of U.S.territorial waters,and limited mandatory reports of such research to once a year,ensuring that individuals and organizations opposing the program would not have the benefit of reviewing such reports.LFAS Surtass started off as an unlawful and classified secret program,and the Woods-Hole Oceanographic Institute collaborated with the Navy and NMFS in keeping the program at a secret level to avoid further public exposure.